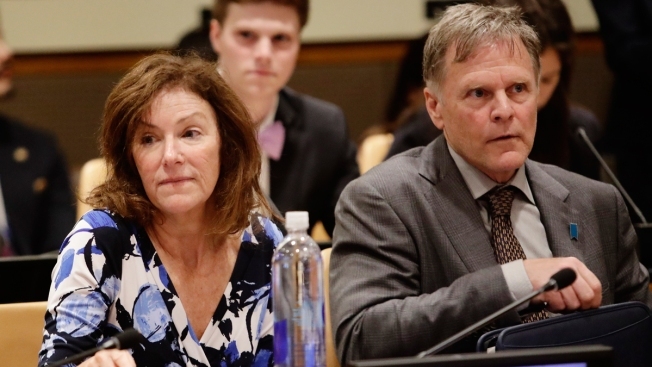 In this Thursday, May 3, 2018, file photo, Fred Warmbier, right, and Cindy Warmbier, parents of Otto Warmbier, an American who died last year, days after his release from captivity in North Korea, wait for a meeting at the United Nations headquarters. A wrongful death lawsuit filed this year by the parents of U.S. college student Otto Warmbier against North Korea is now seeking more than $1 billion from the government the Warmbiers say tortured and killed their son. Fred and Cindy Warmbier, of suburban Cincinnati, sued in April in federal court in Washington. North Korean authorities arrested their son in January 2016 for stealing a propaganda poster. He was sentenced to 15 years in prison. The 22-year-old died in 2017, days after he was repatriated to the U.S. with severe brain damage. The Cincinnati Enquirer reports a motion filed in October in the lawsuit seeks $1.05 billion in punitive damages and about $46 million for the family's suffering. 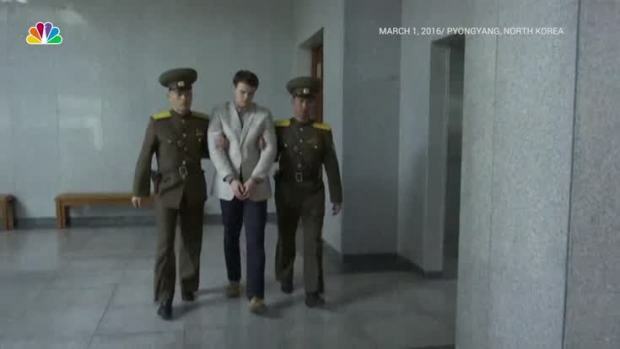 North Korea has repeatedly denied the accusations that it tortured Warmbier.